This map will pose an adventure in a world ruled by the God of the Heavens and the God of the Underworld, one seeking death and destruction and the other the peace and concord, respectively. The map promises about 8 hours of play and its development has led the authors over 1200 hours. Minecraft Cataclysm Map 1.4.7 is an adventure where your objective is to keep the demons can enter our world and for this you must find and destroy the 4 elements in the portal where the demons acces. Will the chosen one to save the world? The author recommends using a concrete texture pack, which was developed specifically for this map. If you show up in some strange place, type / tele 245 906 66.62 346 624 to go to the starting point of the map. 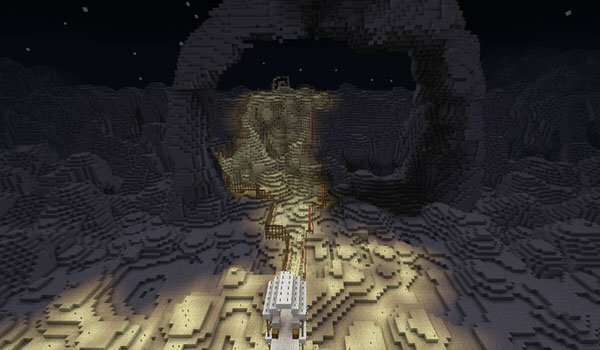 How to install Minecraft Cataclysm Map for Minecraft 1.4.7? Enjoy this adventure in Minecraft!